Our Dark Chocolate Truffles are expertly crafted and hand-decorated in our Southern Oregon candy kitchen. 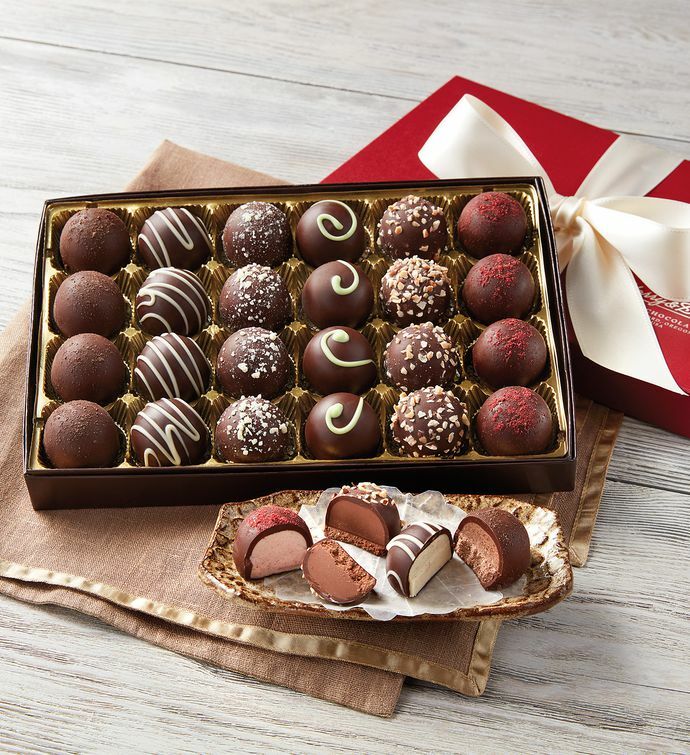 These truffles blend the deep, silky flavor and texture of premium dark chocolate with rich and inventive flavors including lime coconut, raspberry, hazelnut, chocolate decadence, French vanilla, and cappuccino. Send a chocolate delivery, or enjoy them yourself, with this elegant gift box filled with dark chocolate truffles and finished with a hand-tied bow.